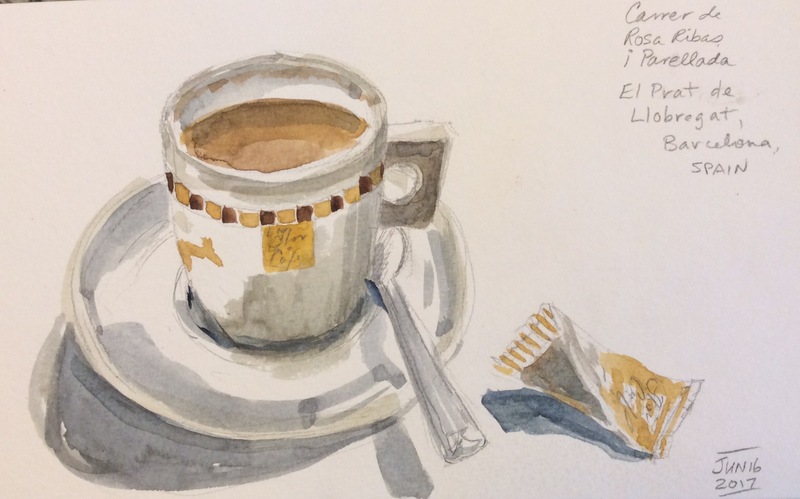 Travelling in Spain for two weeks afforded many sights to sketch. This was done quickly as I enjoyed a last coffee before heading to the airport. I’ll post others now that I’m home and have good wifi and a scanner. Next: Next post: A quick thank you note I did for our hosts in the Spanish Pyrenees. The cherries are from the tree in their garden. Delicious! I can’t wait to see more. How was the trip? I want to hear all about it.